All my initial deployments used a CAT5 cable and my ADSL connection which was great for testing and debugging but not really representative of the connectivity a mobile solution would experience. For this test I used a seeedstudio GPRS shield on top of a Netduino Plus. 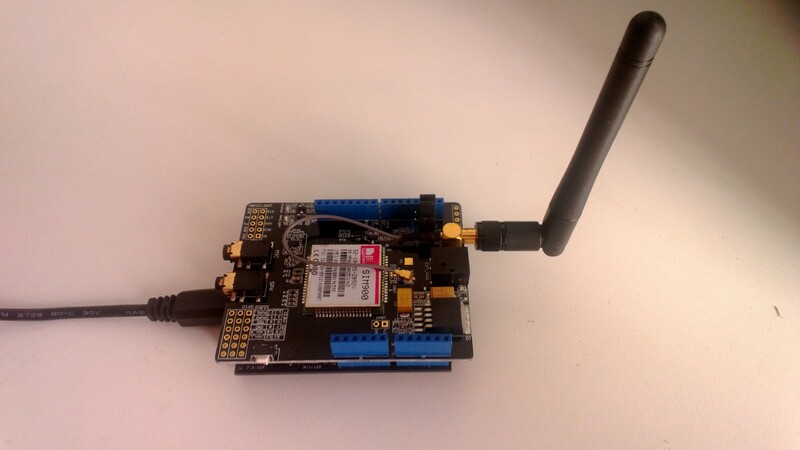 The shield is based on a SIM900 module from SIMCom Wireless and can also initiate HTTP requests. This functionality looked useful as it could make my code a bit simpler and reduce the load on the Netduino CPU. This was a bit slower than I was expecting so i’ll have to do some digging into the code and see if anything looks a bit odd. So far the content of the messages has been sent as clear text which would not be acceptable for many applications. The requirement for data privacy causes a problem on the Netduino+ (Nov 2012) as the standard NetMF crypto libraries are not baked into the platform. I then set about finding some crypto libraries which were NetMF friendly. RSA and Xtea are included in some of other NetMF platforms in the Microsoft.SPOT.Cryptography assembly so Xtea seemed like a reasonable choice to ensure interoperability. When looking for crypto implementations one of the best sources is the Legion of the Bouncy Castle which was where I started. I downloaded the the V17.7 zip file had a look at the size of the Xtea code & all the associated support libraries and then parked that approach as I was worried about the size and performance of the resulting binaries. On the Azure side of things where size is not so critical I just added a reference to the Bouncy Castle main project. Xtea requires 128 bit blocks so you need to pad out the data on the client, then trim off the padding on the server. The key and the data need to be converted to byte arrarys, the Xtea engine initialised and a buffer for storing the encrypted data created. The binary downloaded to the Netduino+ had grown to 28K which still left plenty of space for additional functionality.